Jesus has attracted much attention in Jerusalem – both good and bad. Some believed in Him; some didn’t, and the faith of some was superficial. Jesus knew that those who chased after signs and miracles would not stay with Him. The religious leaders didn’t believe in Jesus at all and wanted to prove that He was a fraud. This was the atmosphere surrounding Jesus. Nicodemus was a powerful and respected man in the Jewish community. He was a member of the Sanhedrin Council and a Pharisee. The Sanhedrin Council enforced the Jewish Law, heard trials and ruled the Jewish people. Nicodemus was also very wealthy. He was a teacher of the Law and the Prophets, but he also observed it faithfully. He had seen and heard about Jesus’ miracles. Because of this, Nicodemus believed that God was with Jesus. In spite of the fact that the majority of the Pharisees were against Jesus, Nicodemus wanted to see for himself. “He came to Jesus at night…” Given the hatred of the Pharisees toward Jesus, it would be dangerous for Nicodemus to openly go to see Jesus in broad daylight. So, Nicodemus came to Jesus in darkness, just as believers in Christ all come to Jesus in the darkness of sin. Without Jesus and the Holy Spirit, we are all in darkness. Jesus will not leave Nicodemus in darkness just as He will not leave those who believe in Him in darkness either. Jesus, the Light of the world, will tell Nicodemus the truth about how to enter the Kingdom of God. The Jews believed that their ancestry to Abraham would give them a place in heaven, but Jesus is telling Nicodemus a “new” way into the Kingdom of God – “I tell you the truth, no one can see the kingdom of God unless he is born again.” John 3:3 Because Jesus is Truth; He only speaks Truth. Nicodemus is a deep thinker and seeker of Truth. Nicodemus needs a Savior and a Teacher, not just a teacher. Nicodemus will have his partial understanding according to the Law now exposed to the Light of the world – the Living Truth Jesus – as well as the Holy Spirit who together enlighten every human. (see John 1:9) Nicodemus says to Jesus, “Rabbi, we know you are a teacher who has come from God. For no one could perform the miraculous signs you are doing if God were not with him.” John 3:2 Nicodemus called Jesus a “Teacher,” not Lord. Jesus was not his Lord yet. Nicodemus says “we know” meaning the other Pharisees and Council members recognized that God must have sent Jesus, but they did believe He was the Messiah. They did not want to give up their power and authority over God’s people. Instead they wanted to discredit Jesus. Jesus went to the very heart of the matter. Being born in the Spirit from God above is the only way one can be spiritual and receive eternal, spiritual life. When we are born in the Spirit, the Godhead unites with our spirit. (see 2 Corinthians 5:17; 1 Peter 1:3) Without Jesus and the Holy Spirit, we are spiritually dead. We must have a “new” spiritual birth. We will also have a “new” spiritual home in heaven with God, Jesus and the Holy Spirit. We will die in the flesh naturally, but we will live eternally in the Spirit. In the Older Testament Law, a gentile who wanted to become a Jew had to be baptized (mitzvah) which was symbolic of being cleansed and “born again (reborn).” In other words, he was cleansed by the water and raised as a new man – a Jew. 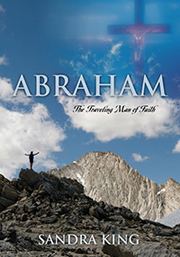 His “old” life is washed away, and he rises as a new man who believes in Yahweh. This is similar to New Testament baptism only this water baptism is to prepare us for our new birth in the Spirit. Nicodemus might balk at the notion that he must repent, be baptized and be born again because that was reserved for the Gentiles. Understanding that he is one of the chosen people of God, Jesus’ statement would seem humiliating to a Jewish Pharisee like Nicodemus. But, Nicodemus has been drawn to Jesus and wants to hear and see more! God is removing the veil from his eyes. Jesus is talking to Nicodemus on a whole different level than the earthly one. By telling this Jewish leader that he must be born again, He is in essence telling Nicodemus that he was born wrong like all of us with the sinful nature of the first Adam and Eve. Nicodemus was a part of God’s covenant people, faithful, and a teacher of the Law with exemplary character. He was also admired and looked up to by others, but Jesus is telling Nicodemus that he must be born anew. Keep in mind that the Pharisees had rejected John’s baptism. Those who were baptized by John after confession of sin and repentance were forgiven and cleansed preparing them for Jesus and the Holy Spirit that Jesus will eventually send. Here is Nicodemus, a Pharisee who has come to Jesus, being told that he must be born of water and the Holy Spirit in order to be born anew. I am sure he didn’t expect this! Perhaps the thought crossed Nicodemus’ mind that he was far more valuable to God than a gentile or a Samaritan. Being a Jew or Gentile profits nothing. We are all filthy sinners. Being born through the Word (both the written and the Living) and the Holy Spirit profits us eternally! Water cleanses the body but doesn’t change the heart. Water baptism for the remission of sins is an outward symbol of what the Holy Spirit will do inwardly. The Word and the Holy Spirit will make Jesus come alive in us as we believe and obey. The invisible Spirit guides, teaches, protects and directs us using the rightly-divided Word of God. In order to receive this new birth, one has to believe that Jesus is who John the Baptist said – “The Lamb of God who takes away the sins of the world.” Once our sins are washed away, we are a holy place prepared to receive the Holy Spirit. 2 Corinthians 5:16-17: “So from now on we regard no one from a worldly point of view. Though we once regarded Christ in this way, we do so no longer. Therefore, if anyone is in Christ, he is a new creation; the old has gone, the new has come! All this is from God…..” And in Galatians 5:15, the Apostle Paul says, “neither circumcision nor uncircumcision means anything; what counts is the new creation.” Outward circumcision or uncircumcision now means nothing. The circumcision of the flesh around the organ that produces life has now become the “new” circumcision of the heart by the power of the Holy Spirit and Word. The old fleshly circumcision pointed to the new circumcision of the heart -- the place of love and life. Only God, Jesus and the Holy Spirit can circumcise our hearts, cutting away our old fleshly nature and breathing God’s righteous nature into us. The spiritually alive Word and Holy Spirit makes us spiritually alive and will change us from fleshly to spiritual. The prophets Ezekiel and Jeremiah had prophesied that God would give His people a “new heart” and a “new spirit.” Jesus fulfilled this through His blood, resurrection power and Holy Spirit.